This paper focuses on the Impact of Information and Communication Technology among the Physical Education Students in Alagappa University, Tamilnadu. Data was collected through a structured questionnaire from 214 students of various branches of physical education. The population includes UG students, PG students and Research Scholars. The findings show that Internet has become a significance source for the students as they use internet for education purposes, research work and updating knowledge. A half of the respondents (72.90%) have stated that internet used for E-Mail purpose only. Up to 72% of the respondents have stated that no computer lab is the prime barrier of using ICT Resources. 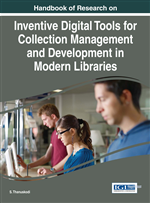 The study suggests that for the optimum utilization of e-journals, consortia's and various other ICT based resources and services and the library should undertake the literacy/orientation programs on regular intervals for their respective respondents. ICTs have quickly become one of the basic pillars of modern society construction. ICTs have revolutionized in the field of education and its use is now progressing rapidly in many educational institutions in the developing world. Many countries believe that the understanding of ICT and command of the skills and concepts of ICT as part of the basic core of education. Due to development of ICTs in education, every faculty member requires a basic knowledge of ICT so that they can successful in spring their academic status and who may be involved efficiently in modern technological society. In virtually all fields of education, the role of the teacher is shifting not only a broadcaster of thought, but also the doctrine of the good nature of the learning process. The increasing use of technology is leading for changes in the forms and methods of teaching processes which are more student-centered. The interactive relationships emerge between teachers, students and technology with ICTs. Information and communication technologies have given rise to new modes of organizing the educational environment in schools and new concepts in the teaching process as well as the remodeling of the roles played by the participants in the educational process. E-Resources: Electronic resources form one of many formats that the Library collects to support its universal collections. Electronic resources include, web sites, online databases, e-journals, e-books, and physical carriers in all formats, whether free or fee-based, required to support research in the subject covered, and may be audio, visual, and/or text files. Search Engines: A search engine is a web-based tool that enables users to locate information on the World Wide Web. Multimedia: Multimedia refers to content that uses a combination of different content forms. It includes a combination of images, text, audio, video or interactivity content forms. Users Study: It is a systematic effort undertaken to obtain information on the manner and which information is obtained and used by “different categories of user are known as user studies”. It is simply stated that “Study about the user”. Database: A database is a collection of information that is organized so that it can easily be accessed, managed, and updated. Digital Media: Digital media are several media that are encoded in a machine-readable format. It can be created, viewed, distributed, modified and preserved on computers. ICT: Information and communications technology (ICT) refers to all the technology used to handle telecommunications, broadcast media, intelligent building management systems, audiovisual processing and transmission systems, and network-based control and monitoring functions. Network: A System of physically separate computers with telecommunication links, allowing the resources each participating machine to be shared by each by each of the others. Internet: The internet is a group of computers that are connected to each other. The internet is used to send information quickly between computers around the world.